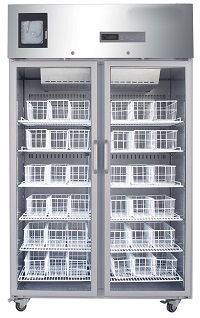 Our refrigerators are specialized refrigerating equipment for blood (whole blood) storage application. Blood Bank Refrigerator is a specialized refrigerating equipment for blood (whole blood) storage application, which has been used in medical industries as well as cold storage of pharmaceuticals, biological products, vaccine, and so forth. It is suitable for hospitals, blood banks and sanitation and antiepidemic stations.